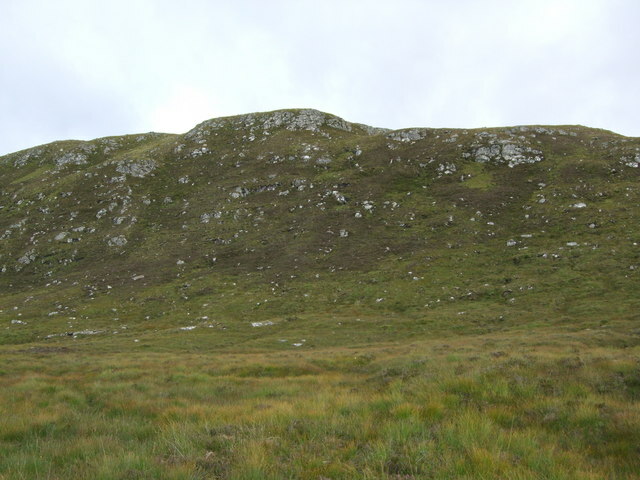 This 544m high mound is on the way from Strathcarron to the Bearnais bothy. Photo taken from the path, a path that Hugh Munro trod overnight to climb the two Munro hills Bidein a' Choire Sheasgaich and Lurg Mhor, my objectives for the next day. © Copyright Tim Denvir and licensed for reuse under this Creative Commons Licence.